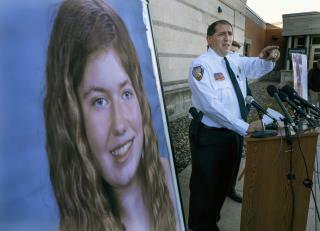 (Newser) – Amazing news from Wisconsin, where relatives of 13-year-old Jayme Closs say their prayers have been answered. Jayme has been found alive almost three months after her parents were found dead in their home, the Barron County Sheriff's Department announced in a Facebook post late Thursday. The sheriff's department says a suspect is in custody and more details will be disclosed in a press conference Friday morning. The Minneapolis Star Tribune reports that the "bedraggled and malnourished" girl fled her captor and sought help from neighbors in an area of cabins east of Gordon, a town around 65 miles north of her home in Barron. She disappeared on Oct. 15. That poor girl. I hope she recovers 100% physically, mentally and emotionally. RIP to her parents.